Released in the Little Free Library at Black Cat Coffee, 463 Stevens Ave, Portland, Maine USA, around 8 PM on October 14, 2017. 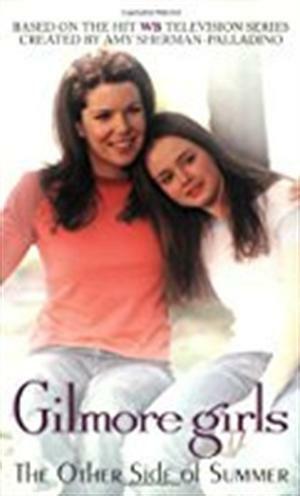 I had finished binge watching the Gilmour Girls TV series (15 years after its debut) when I happened upon this novelization of some of the episodes. It was in the Little Free Library outside Black Cat Coffee in Portland, Maine. Several months passed before I had time to read it. I was charmed by some of the dialog in the book, and recalled some memorable scenes from the series’ early years. As a piece of literature, it’s not much. But as a chance for a fan to revisit a beloved show and its characters — it’s quite satisfying. I finished reading “Gilmour Girls: The Other Side of Summer” on March 26, 2018 in Lenox, Massachusetts, while staying at The Cornell Inn on Main Street. I will leave the book in their lending library for another lucky book lover to find.